Our engineering and product teams have been busy launching new features, adding new integrations, and making your top requests a reality. Here are the highlights of what we’ve added in this past quarter, in case you missed any. Kustomer is happy to announce our brand new, enterprise-grade queueing and routing feature. Queues are integral to managing high-volume contact centers, and for good reasons. Queues enable contact centers to monitor their inbound traffic in real-time and optimize the wait time in the queue. Kustomer has adopted this model for the omnichannel world. Now organizations can create queues according to their business priorities across channels, assign queues to teams, and have full visibility into the real-time status of the queues and agents’ capacity. Read more in our blog post. 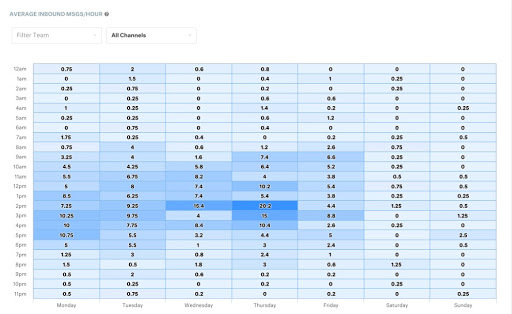 Check out our new report that will help you better understand the volume of inbound messages that your teams are handling, and which time of the week has the highest volume. You can also filter the report by specific Teams and Channels to further segment inbound messages. You can now mention entire teams in a note! Mentioning a team is just as easy as mentioning a user- simply type the @ sign and type a team’s name. 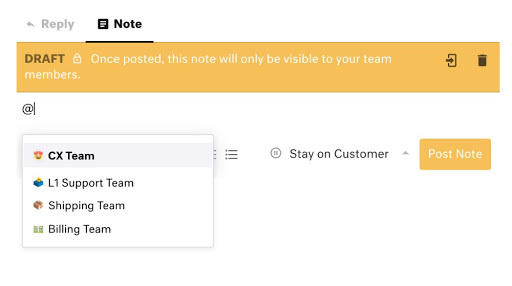 Sending a team mention in a note will notify all members of that team that they have been mentioned. Clicking the notification will link them back the conversation in which they were mentioned. For many organizations, the usage of a SAML provider is key to providing easy access to all necessary systems for their employees. 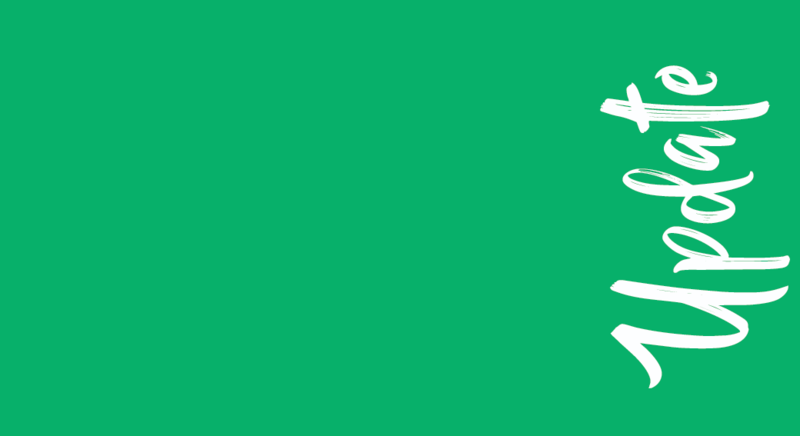 We’re happy to announce that you can now add Kustomer to that list of systems which can be accessed by your SAML provider. For customers in our Ultimate Tier, you’ll be able to create an App within your SAML provider and tie it to your Kustomer account. 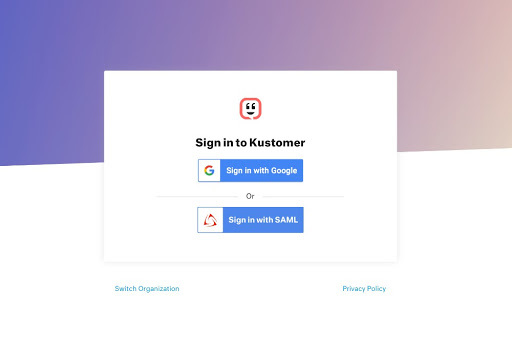 Once set up a “Sign in with SAML” option will appear on the login screen for your users. We’ve added the ability to upload images directly to articles within your Knowledge Base. Images can be hosted on Kustomer media library or on an external URL. When uploading images, you can either browse your computer or easily drag and drop right into the upload area. That’s it for product updates this quarter, follow @Kustomer on social media for to-the-minute updates of our new features and integrations!